Fear comes in many forms. It also comes at many heights. 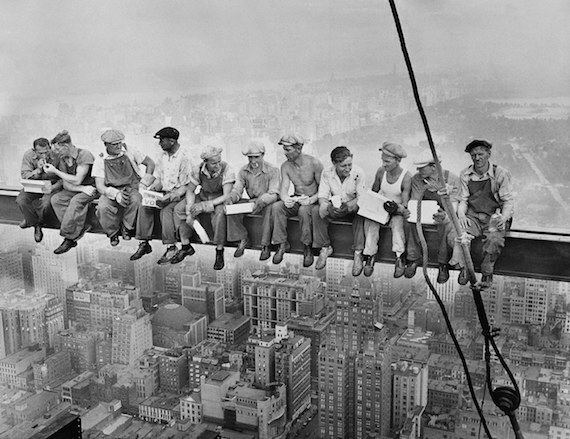 This famous 1932 photograph shows eleven men—without safety harnesses—taking a lunch break during construction of the Rockefeller Center in New York City. Simply looking at the picture of them leaning in various poses as they casually converse with one another is enough to send shivers up the spine of someone suffering from acrophobia. I don’t personally have an “irrational fear of heights.” After all, I’ve enjoyed forays into the sky via the Eiffel Tower, the Tokyo Tower and the Space Needle in nearby Seattle. Still, I must confess that when I stand high above the earth on a piece of clear glass or acrylic that I do find it a bit disconcerting. It’s not as if I doubt the building is secure . . . but precisely what clear substance like that is worth trusting our lives to? In fact, not long ago, a group of people were standing on just such a viewing panel when it began to crack. 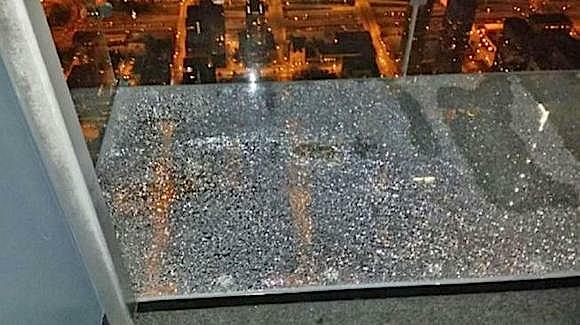 Two facts, it was new (opened in 2009) and it was on the 103rd floor of the Chicago building. The quaintly named “Ledge” was certified to 10,000 pounds, and it’s difficult to imagine the family standing on it, when it fractured, as exceeding that weight. Let’s return for a moment to 1932. There’s a lesser known photo, taken the same day as the renowned image. It is even more disturbing. Check this out. This shot was taken after the men had staged the lunch picture for the press. They were simply resting after eating, before returning to work. Now, I appreciate rest as much as anyone, and far more than most. But, if I was on that steel girder, 840 feet above the pavement, I would be so hyper vigilant a tranquilizer dart couldn’t put me down. That picture, frankly, scares me. Fortunately, C.S. Lewis reminds us that there is nothing wrong with fear. Beyond sometimes protecting us from foolish risk-taking, the fear itself does not determine our reaction to it. 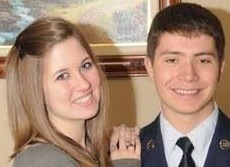 In other words, a soldier can rightly be afraid on the battlefield, yet overcome that fear and do something heroic. Common men and women often surprise themselves when they overcome fear they might have thought would cripple them. C.S. Lewis says it this way. “The act of cowardice is all that matters; the emotion of fear is, in itself, no sin” (The Screwtape Letters). I’ve learned through the years that there is wisdom in learning about one’s own fears. Sometimes what we learn diminishes the fear. At other times, understanding our fears can prevent us from misattributing our emotions to another source. For example, you might think you dislike a person who frequently invites you to share your thoughts with a group. When, in actuality, it might merely be your fear of public speaking, or your fear of having your ideas rejected that troubles you. Upon recognizing this, you might even grow to like the other person, seeing how they are confident that you have something of value to offer to the discussion. Like every other fallen human being, I’m riddled with fears and buried under worries. It is beyond comprehension how God has manifested his love for us in his only begotten Son . . . truly we can cast all of our burdens onto his compassionate and willing shoulders. In fact, it is during our darkest hours when, assailed by our personal terrors, we lean most upon his strength. Without a doubt, if severe unemployment has forced me to be one of those construction workers nearly a century ago, I would most definitely have been one praying man! Something unbelievable just happened in America. Something offensive, abusive, and utterly intolerant. At Florida Atlantic University, one of the professors taught a lesson so distasteful that, had it maligned any faith other than Christianity, it would have led to his dismissal. Instead, the student who challenged it was suspended from the course. The class is entitled “Intercultural Communication,” and the instructor happens to be the county vice-chair of one America’s major political parties. So, what was the malicious class exercise? The students were instructed to write the name “Jesus” in large letters on a piece of paper which they laid on the floor in front of them. Then, they were directed to stomp—yes, stomp—on the name of the person millions of people throughout the world regard as their Savior. It’s difficult to comprehend anyone would design such an offensive “lesson,” let alone that they would actually attempt to implement it. And, since lessons are created to teach someone, one wonders precisely what Deandre Poole wanted his students to learn by encouraging their blasphemy . . .
C.S. Lewis would not be surprised by this event. He foresaw precisely where the wholesale rejection of God within academia would lead. There is a passage in his book That Hideous Strength that seems almost prescient. In this scene the protagonist, a sociology professor named Mark Studdock, is being initiated into an elite and secretive inner circle at the Institute where he has come to work. The organization has global plans and great influence. Studdock is a confirmed agnostic, yet he is disturbed by something his mentors describe as a “minor” portion of the initiation process. Meanwhile, in the Objective Room [where candidates are taught to think properly], something like a crisis had developed between Mark and Professor Frost. As soon as they arrived there Mark saw that the table had been drawn back. On the floor lay a large crucifix, almost life size, a work of art in the Spanish tradition, ghastly and realistic. “We have half an hour to pursue our exercises,” said Frost looking at his watch. Then he instructed Mark to trample on it and insult it in other ways. Now whereas Jane had abandoned Christianity in early childhood, along with her belief in fairies and Santa Claus, Mark had never believed in it at all. At this moment, therefore, it crossed his mind for the very first time that there might conceivably be something in it. Frost who was watching him carefully knew perfectly well that this might be the result of the present experiment. He knew it for the very good reason that [he had briefly experienced, and dismissed, the same thought during his own initiation]. “But, look here,” said Mark. The parallels are evident. I can readily imagine Dr. Poole justifying his own exercise in similar language. However, that something like this could happen in a civilized land is sobering indeed. Christianity had been embraced by a number of provinces early in Japan’s history, but the rising ruler had vowed to extinguish it. The Shogun required that samurai suspected of being “Kirishitan” prove they were not by stepping on holy images of Christ or Mary. The Christians (all Roman Catholic in the seventeenth century) would not abuse holy images and were arrested on the spot. 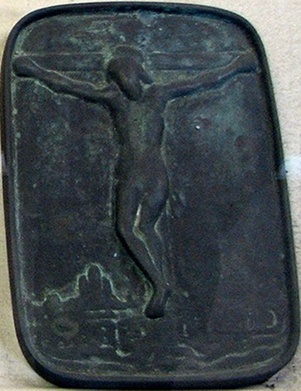 Fumi-e were images created for the sole purpose of desecrating, and some examples (like the tile shown above) have survived to this day. If the individual failed to recant their faith in Jesus, they would be tortured and ultimately martyred. As recently as 2008, the Roman Catholic Church beatified a new group of 188 Japanese Christians. They joined 45 saints and 395 previously beatified martyrs. They represent only a small segment of the estimated 35,000 believers who accepted death rather than denying their Lord. The newly beatified include 183 lay people, four priests and one monk. The laity included thirty samurai warriors, as well as farmers, artisans, civil servants, teachers, painters, writers, former slaves, pregnant women and even children as young as three. If Dr. Poole was historically-informed, he would recognize that the odious ritual he thrust upon his vulnerable students carried a significant deal of baggage. And that’s not to mention the direct affront it poses to those who believe Jesus’ claim that he “is the way, the truth, and the life.” Ultimately, all people of goodwill—believers and atheists alike—will find his behavior repugnant. “With your permission, Anjin-san.” From under his kimono Uraga brought out a small painted icon that he had brought from Yedo and threw it face upward on the deck. Then, deliberately, he stamped on it. Blackthorne and the crew were greatly disquieted by the desecration. Except Jan Roper. “Please. Make every vassal do same,” Uraga said. “All right,” Blackthorne agreed reluctantly. They came forward one by one. Blackthorne watched, despising the ceremony. “Even so, it’s not right to do that,” van Nekk repeated. The samurai continued to stamp the icon into the deck one by one, and moved into loose groups. It was a tedious affair and Blackthorne was sorry he had agreed to it, for there were more important things to do before dusk. His eyes went to the village and the headlands. Hundreds of the thatch lean-tos of the Musket Regiment camp spotted the foothills. So much to do, he thought, anxious to go ashore, wanting to see the land, glorying in the fief Toranaga had given him which contained Yokohama. Lord God on high, he told himself, I’m lord of one of the greatest harbors in the world. Abruptly a man bypassed the icon, tore out his sword, and leaped at Blackthorne. A dozen startled samurai jumped courageously in his way, screening the quarterdeck as Blackthorne spun around, a pistol cocked and aimed. Others scattered, shoving, stumbling, milling in the uproar. The samurai skidded to a halt, howling with rage, then changed direction and hacked at Uraga, who somehow managed to avoid the thrust. The man whirled as other samurai lunged at him, fought them off ferociously for a moment, then rushed for the side and threw himself overboard. Four who could swim dropped their killing swords, put their short stabbing knives in their mouths, and jumped after him, the rest and the Dutchmen crowding the side. Blackthorne jumped for the gunwale. He could see nothing below; then he caught sight of swirling shadows in the water. A man came up for air and went down again. Soon four heads surfaced. Between them was the corpse, a knife in his throat. “So sorry, Anjin-san, it was his own knife,” one called up over the roars of the others. The search revealed nothing. When all were back on deck, Blackthorne pointed at the icon with his cocked pistol. “All samurai-once more!” He was obeyed instantly and he made sure that every man passed the test. Then, because of Uraga, and to praise him, he ordered his crew to do the same.